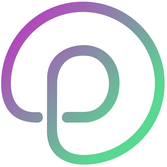 PETMEM is a European partnerships amongst Universities, Research Institutions, SMEs and a large company that will focus on the development of new materials and characterization tools to enable the fabrication of an entirely new low-voltage, memory element. 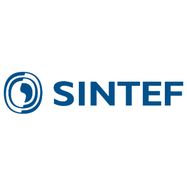 The SINTEF Group is the largest independent non-commercial research organisation in Scandinavia carrying out contract research for the industrial and public sector both in Norway and overseas with the vision of "Technology for a better society". SINTEF has about 2000 employees. Contract research carried out by SINTEF covers all scientific and technical areas, and ranges from basic research through applied research to commercialisation of results into new products and business ideas. SINTEF is the WP leader for WP2. SINTEF will mainly contribute to WP2 by development and deposition of PZT and PMN-PT up to 200 mm wafers. SINTEF will also contribute to the dissemination and exploitation activities. SolMateS BV (http://www.solmates.nl) is a privately held company based in Enschede, the Netherlands. 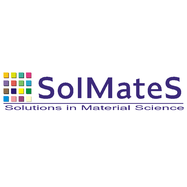 Founded in 2006, SolMateS is a spin-off of the Inorganic Materials Science group at the University of Twente. SolMateS provides innovative solutions for the movement or sensing on a chip with piezoelectric thin films. We provide technical consultancy and deposition tools based on pulsed laser deposition. SolMateS puts high effort in specified recipes and hardware development for specific piezo applications. Besides the developed unique deposition hardware and piezo recipes, we have expertise in buffer layers, different types of electrode materials and structuring & characterization of the deposited layers. SolMateS launched its PLD platform in the fast-growing piezo-MEMS market for the use of piezoelctric thin film manufacturing. The first commercial tools are currently processing in the field. Since the first on-site installation SolMateS has been able, with the feedback of its customers, to further optimize its hardware and process to a high volume semi-compliant deposition system. Deposition of PMN-PT and PZT thin films. Optimization of deposition conditions maximize the strain induced by PMN-PT or PZT on the device. Development of buffer/seeding layer thin film stacks to achieve epitaxy of PMN-PT on Si samples and/or wafers. Ferro and piezoelectric thin film measurements. 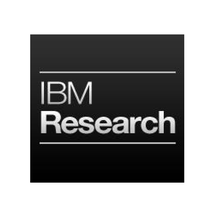 IBM Research GmbH, Zürich Research Laboratory (ZRL), with approximately 300 employees, is a wholly-owned subsidiary of the IBM Research division with headquarters at the T.J. Watson Research Centre in Yorktown Heights, NY, USA. ZRL, which was established in 1956, represents the European branch of IBM Research. At ZRL scientific and industrial research is conducted in five scientific and technical departments, in particular in the Science and Technology department. Throughout the history of this department, scientists have made major contributions to the advancement of knowledge in solid-state physics, stimulated by problems relevant to technology. Today research focuses on different areas of technological significance, such as photonics and optoelectronics, CMOS and post-CMOS, micro fabrication, packaging and life sciences. This effort is supported by the newly opened Binnig and Rohrer Nanotechnology Centre, offering state of the art micro fabrication yet with the required flexibility for any research at the frontier between industrial and academic research. 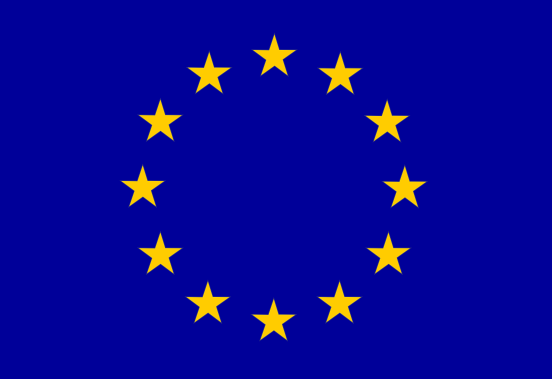 ZRL is involved in many joint projects with universities throughout Europe, in research programs established by the European Union and the Swiss government, and in co-operation agreements with research institutes of industrial partners. The Material Integration and Nanoscale Devices (MIND) team focuses its efforts on the development of new materials and novel integration schemes, with a strong focus on functional oxide materials and III-V’s on Si for applications in high-mobility CMOS, integrated photonics and novel computing paradigms. The team involved has a strong background in the field of material science, with a focus on Molecular Beam Epitaxy as a vehicle for thin film deposition, and on advanced materials characterization such as XPS, XRD or HRTEM. A unique experience has been gathered in the development of heterogeneous integration concepts for non-standard materials with CMOS technology. Over the last years the group has played an important role in attracting the attention of the CMOS community on the benefit of III-V as nFET channel, focusing on the development of high performance III-V/SiGe CMOS circuits. The team also pioneered the use of epitaxial ferroelectric films for integrated silicon photonics, pushing the integration of such novel materials towards the demonstration of real devices. The Swiss Federal Laboratories for Materials Science and Technology (Empa) is one of the four research institutions of the ETH domain with approximately 1000 employees. As an interdisciplinary research institute, Empa conducts cutting-edge materials and technology research. Empa’s R&D activities focus on meeting the requirements of industry and the needs of society, and thus link applications-oriented research to the practical implementation of new ideas in the areas of nanostructured, “smart” materials and surfaces, environmental, energy and sustainable building technologies as well as biotechnology and medical technology. As a result, Empa is capable of providing its partners with customized solutions that not only enhance their innovative edge and competitiveness, but also help to improve the quality of life for the public at large, true to its mission statement: «Empa – The Place where Innovation Starts». Through an efficient technology transfer Empa is turning research results into marketable innovations. As part of the ETH Domain, Empa is committed to excellence in all its activities. The main structure of Empa is formed by the approximately 30 technical laboratories. The laboratory “nanotech@surfaces” (section 205 of Empa), taking part in the PETMEM project, has as core mission the development and characterization of novel low-dimensional materials and devices exhibiting specific functionalities based on nanoscale surface effects. It pursues this mission by the exploitation of different core competencies in the fields of surface physics and atomistic simulation. Particularly the nanotech@surfaces laboratory is investigating processes leading to the atomically precise synthesis of nanostructures for future electronic devices. Specifically it is an internationally leading group in the on-surface synthesis of carbon-based nanomaterials and their structural and electronic characterization by scanning probe and photoemission spectroscopy techniques. The in-depth understanding of the physicochemical process involved in the on-surface synthesis processes and the investigation of their structure – electronic properties relation is supported by ab-initio atomistic simulations at different levels of theory such as density function theory or GW. To achieve these tasks the nanotech@surfaces laboratory disposes of state of the art low-temperature (5 K) UHV scanning probe microscopy systems and UHV systems for angle resolved photoelectron spectroscopy. For atomistic simulations the laboratory runs a computer cluster with >100 nodes and has access to the Swiss National Supercomputing Centre (SNSC). In the PETMEM project, Empa will partner-up with the IBM research center Zurich to support the PETMEM project in the key area of micro-integrated prototype device fabrication. In their partnership, the IBM research center and Empa will take charge of the tasks required to fabricate the different versions of the Piezoelectronic memory element, as described in work package 4. 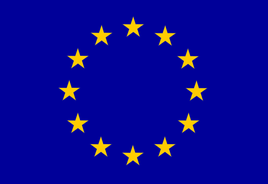 They will work with successive generations of materials provided by the consortium partners, University of Ghent, SINTEF (Oslo), and MPI (Dresden). Advanced device testing will be carried out in collaboration with the National Physical Laboratory (London). It should be highlighted that this partnership with IBM is uniquely suited to perform the work. IBM and EMPA have a long standing collaboration in various research areas, and as a member of the ETH-domain, EMPA’s employees have full access to the Binnig and Rohrer Nanotechnology Center located on IBM premises. 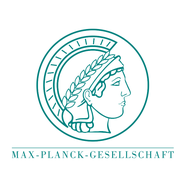 The research group from the Max-Planck-Institute for Chemical Physics of Solids (Dresden, Germany) is led by Prof. Dr. Claudia Felser, and the group from the Microstructure Physics (Halle, Germany) is led by Prof. Dr. Stuart Parkin. The research of the group in Dresden is focused on the development of new materials based on Heusler compounds and combines the complete chain from theory, bulk preparation and thin film deposition. Prof. Stuart Parkin (Halle, Germany) has expertise in thin film and device fabrication of a wide variety of different materials including chalcogenides using various techniques (Sputtering, PLD, MBE). The researchers of the Max-Planck-Institute are connected to this project for the development of novel piezo-resistive (PR) materials based on Heusler compounds and new chalcogenides and oxides, which are either better in manufacturability or better in performance when compared to common PR materials such as SmS. Since many years the group of Prof. Felser is designing new materials like half-metallic ferromagnets, rare earth free hard magnets, thermoelectrics, or the very recently attractive materials class of topological insulators. Stuart Parkin is an expert in spintronic devices and thin film fabrication for many different materials including oxides and chalcogenides. These innovative materials are often made from complex crystallographic structures and stoichiometries. Band structure calculations allow for a preselection of the most promising compounds and the influence of pressure or lattice size to the materials electronic structure (DOS) and transport properties can be simulated. The selected materials will be tested first as bulk materials (transport under pressure) and then as thin films. The best materials will be integrated into test devices. BNC is an SME based in the United Kingdom, with 9 FTEs and access to specialist scientific consultants from the London Centre for Nanotechnology, University College London, Imperial College London and The School of Pharmacy, University of London. BNC addresses technical problems from industry with world class technology and expertise in the life science and technology sectors. We are the first consultancy in Europe to focus on the increasingly important intersection between bio and nanotechnology - using nanotech tools to solve biotech problems. BNC has an international client base, with projects supporting companies from Asia, the Middle East, Europe and the USA. Our world-renowned scientists are called upon to solve some of the most technically demanding problems. BNC will manage and coordinate the project as well as assessing commercial potential for the partners. BNC will take responsibility for the whole WP 6 and 7 in terms of management, exploitation, dissemination and progress assessment. The project partner from Ghent University (Ghent, Belgium) is the research group LumiLab, which is part of the Department of Solid State Sciences, Faculty of Sciences. The research group is led by Profs. Dirk Poelman and Philippe Smet, and is involved in the research of all aspects of inorganic impurity-doped luminescent materials, and more in general all kinds of rare earth compounds. 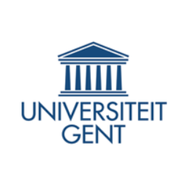 Within this project, Ghent University will deposit and optimize pressure-switching SmS thin films on 8 inch silicon substrates. Thanks to a joint project with Delft University, where small SmS samples were produced, there is a proof-of-concept that this goal can be achieved. Next to this instrumental capability, there is a wide experience in the investigation of both optical and structural properties of inorganic compounds. The research group has access to a wide range of analytical equipment in its own laboratory, ranging from optical spectrometers (transmission, reflectance, photoluminescence excitation and emission, thermoluminescence, cathodoluminescence) to standard equipment for structural analysis (x-ray diffraction, XPS, scanning and transmission electron microscopy, AFM). In addition, there is a long standing experience in performing x-ray absorption and x-ray scattering experiments at synchrotron beam lines, which could be advantageous for determination of valence state dynamics. 1999 the SME nowadays employs over 17 people. The products perform a wide range of standard characterisation methods for ferroelectric and piezoelectric materials. This comprises electrical and electromechanical characterisation and qualification of piezoelectric thin films as well as bulk ceramics or multilayers. A double beam laser interferometer and four-point bending test bench are designed for piezoelectric thin film testing. The accuracy of these products has been proven for the semiconductor industry as well as for sensor/actuator and piezoMEMS manufacturers worldwide. The sophisticated electrical and electromechanical characterisation features of aixACCT products are documented in several scientific publications. The aixACCT staff of engineers and affiliated personnel is highly skilled in electrical and mechanical engineering, and have long experience in the development of characterisation methods and equipment for research and industry. 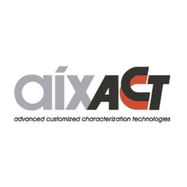 aixACCT’s expertise will be used to build characterisation equipment for piezoelectric and piezoresistive thin films and nanosized structures as well as integrated test devices within the project. Existing characterisation equipment, especially the double-beam laser interferometer with extensions developed within the project will be available to the project for waferlevel characterisation of the developed films and test devices on up to 200mm wafers. 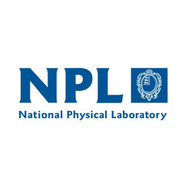 The National Physical Laboratory (NPL) is one of the UK's leading research facilities and the UK’s principal National Measurement Institute (NMI). NPL sits at the intersection between scientific discovery and application with extensive links to industry. Our professional communication and knowledge transfer division supports outreach and commercial exploitation to industry. Contributions to the PETMEM project from NPL will come primarily from one science area: Functional Materials although support from our KT team, clean-rooms and materials team generally will be provided throughout as necessary. NPL will have responsibility for the design and application of high pressure measurements systems drawing upon a long and distinguished track record in high pressure physics experiments as well as the theory and simulations of phase transitions at the atomic scale. Electrosciences Ltd is a UK based scientific consultancy business. Our business is modelled on the supply of scientific consultancy services to industry and academia. Expertise ranging from scientific strategy development for small business to bespoke solutions to scientific and technical problems. Our experience of over 30 years in the field of materials science and physics of the solid state lends itself to delivery of competent solutions to various scientific needs. Electrosciences will contribute as technical coordinator to WP 7 by promoting project exploitation, dissemination and progress assessment. Thin film deposition in ultra high vacuum (UHV) environment is our business. We design and manufacture advanced thin film deposition systems for Molecular Beam Epitaxy (MBE), UHV Magnetron Sputtering and Pulsed Laser Deposition. 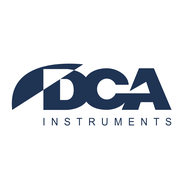 Since the company was founded in 1989, DCA has installed more than 200 UHV systems around the world. We are a privately held Finnish company located in Turku, in the southwest corner of Finland. We offer our customers high quality Finnish design and workmanship. A large part of our business has always been building complex, custom design deposition systems. We utilize our custom design background in the manufacturing of our standard systems. Our design flexibility is valued by our customers. Many of our standard systems have started as a solution to a customer’s particular deposition process. DCA is the world leader in oxide MBE. We have systematically developed our oxide technology, oxygen resistant substrate heating and oxygen resistant sources since 1993. Therefore many leading laboratories have chosen DCA oxide technology. Our compound semiconductor MBE systems are in use around the world, both in R&D and in epiwafer production. DCA is continuously developing new sources and other MBE components for advanced compound semiconductor epitaxy. Our standard system range extends from small R&D systems with 10 mm x 10 mm sample size to multi-wafer 4 x 4″ and 200 mm MBE and sputtering systems. DCA was the first to introduce a true UHV cluster tool with a UHV robot for automatic wafer handling. Growth of high quality SrTiO3 on 200 mm Si wafers as virtual substrate for piezoelectric layers (WP2).